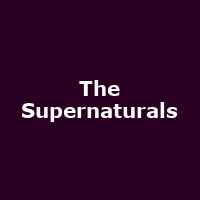 "In 1991 The Supernaturals started recording and touring extensively around Scotland. The band released 4 mini albums on their own label and in 1995 were signed to EMI/Food. The top ten album, "It Doesn't Matter Anymore" was released in 1997 and "A Tune a Day" in 1998. Several successful singles followed, amongst which, were the Ivor Novello nominated "Smile" and "I Wasn't Built To Get Up". In subsequent years both songs have taken on a life of their own having been used in adverts around the world. Rod Stewart covered the band's unreleased song "Dylan's Day Off" in 1997."